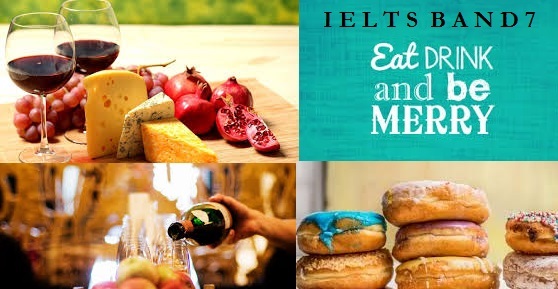 IELTS Speaking preparation posts are here. We all eat food and we ought to drink something. So, this topic forms part of the IELTS speaking part I questions. Let us now have a look at some of the questions and possible answers. Yes, I can cook the basic everyday food, necessary to be alive but when it comes to making those cuisines and flowery food, I am not very good at it. Apart from the everyday food required to be alive, I really cannot cook anything else. But, very soon I am planning to join a cookery class to learn cooking. If making maggie counts in cooking, I would say yes I can cook. But otherwise, no I really cannot. I can only prepare some snacks or tea and maggie, but nothing else. Who does cooking in your family or house? Cooking in my house is mostly done by my mother but sometimes my father also shares the load. I live in a joint family. So cooking is mostly done by my mother and aunt. But sometimes, we kids also join them, helping them in the preparations of food. I am living away from my parents because of the job, so I do the cooking myself. What is the most famous dish from your country? Can you describe it? India is a varied country, with lots of cultures existing together. So, there is no one famous dish but there are lot of them. But, the little that I have traveled, I think rice is something most people eat with their own varieties. So, you can find people eating it with Chola which is prepared using Kabula Chana. Or with fish or coconut chutney. Some even prefer fried rice, so to make it, one needs to fry it in pan using vegetable oil and mix it with onion and peas and other vegetables according to their preferences. I love dosa, a lot. Luckily, I have had the privilege to actually eat a lot of varieties of dosa. I had onion dosa, peas dosa, khara dosa and then the basic masala dosa. Also, there is this puri dosa and lot more. My favorite would be onion dosa. I like south Indian food very much. I think apart from being light it is very healthy and one can digest it very well since it is not very spicy. What is your main meal of the day? My main meal is during the lunch time. I usually have either rice or chapatti during this time. Along with them I like having dal ,vegetables and curd and a sweet dish. My main meal of the day is the breakfast. I prefer eating a heavy breakfast, so it includes, paratha with some curry and curd. Also, I like having a big glass of milk. Do you prefer eating at home or in a restaurant? I like eating at home. The reason being you can actually be whatever you want to, wear whatever you want to and while eating if you get a homely feeling I think it makes food more delicious. I like eating at restaurant because it is more hassle free. You need not to bring your vegetable and the other stuff required to make food. Specially there is not much time consumed. You go, have food and come back. There is nothing like, preparing food and then washing dishes. On what occasions do you eat special food? Special food is prepared usually on either any festivals like holi or diwali or during birthdays. Apart from this, whenever anything good happens in anyone of our lives, we make good food to celebrate it. Gone are the days, I think when we required any occasion to make special food. I think these days we eat special food whenever the mood strikes. Usually, during the weekends, because those are the days when we are free and have time to prepare proper food. Apart from this, the special days like during festivals and birthdays, we do eat special food. what kind of animal it is? why do you like the animal? I like all animals in general, but I think my favorite would be a dog. A dog is a domestic animal and can be seen in almost all houses and streets of my country. The best part about dogs is that apart from being a great keeper, they also shower love on their owners. A person owning a dog gets love and care from the dog and the dog makes sure that no one harms his or her owner. Although, most people like dogs, everyone has different choices as there are various breeds of dogs such as pugs, a golden retriever, bulldog, and German shepherd etc. Interestingly, the characteristics of dogs depend on their breed. For instance, a bulldog is more aggressive than a pug and is more likely to bite you. Even more, the food requirements vary with breed. As a matter of fact, a smaller breed would require more energy and food than a larger or a medium-sized breed. One needs to know the breed of the dog and provide the food accordingly. A dog surely becomes a part of the family and often it has been seen that they get weak in the absence of their owners. The connection between dogs and humans is almost electric and I believe one must surely have one. Earth is full of different creatures and various organisms. Humans are the top of the food chain on this planet and share the planet with other living organisms. Animals form a big part of our ecosystem and help us preserve nature and restore balance in the ecosystem. There are various majestic creatures that inhabit our lands but the one that fascinates me the most are snow leopards. Snow leopards are solitary creatures and they are found in the entire Himalayan range and central Asia. These beasts are a thing of beauty and their distinctive fur and color easily differentiate them from an African or Asian leopard. Their coat is white and grey in color and it helps them camouflage with local surroundings. Their thick coat helps them stay warm in chilling Himalayan weather. They are very shy creatures and perhaps that is the reason why very less is known about their behavior and habitat. Their diet mostly consists of antelopes and Himalayan goats that are found in abundance in the mountainous terrain. Computers have become an integral part of our lives. We tend to use them more often then ever and it is very rare that people don’t know how to use them. With such increase in their usage, it becomes lot more obvious that you might have some questions related to computers. Let us today have a look at some of the questions and their possible answers. Do you often use computers? I work as a system engineer in a company and my entire work is on computers. So, I use it very often. Apart from work, with every thing becoming online, it becomes very obvious to use computers to do the transactions and other household things online. I am not very much into computers. For some reasons, they tend to freak me out. I know that these days it is very important to know how to use them, and I do know the basic operations. But I prefer doing things out of the computer machine. Like there is more fun shopping in a real shop as compared to the online. You get to know people, spend time with them and for me it is always better. How do you usually get online? I have wifi installed in my house. So, all my family members connect to it for using internet. I have recently shifted to my place and for internet I still rely on my dongle and the smart phone that I have. Although, I am thinking of installing a modem very soon. Do you prefer desktops or laptops? I would say definitely laptops. They are so very easy. You can carry them wherever you want to and do whatever you want to. I being a writer, it is very important for me to be able to move out of places and laptops do provide me with that freedom. I like desktops more than laptops. The reason being they ensure that work is not carried forward to home. I did had laptop earlier but with that it became so much more easy for me to do work even at home leaving me no time for my loved ones. So, I like desktops as when you sit there you know that you are there for work and once you are out of it, you can live life. My computer is my perfect companion. I am a freelance blogger so it is the place where I do my entire blogging thing. There are times when I need to pen down some things or search internet for something or make note of, it is all done on my computer. Apart from this, I prefer doing the bank transactions and the billing work online itself. Do you think it is important for everyone to know how to use computers? I think definitely yes. We have moved from the industrialization era to this digital era. Every thing in today’s world is digital and online. Starting with there are so many jobs being offered online, universities offering online courses and with coming of google and other efficient search engines, it has become lot more easier to get knowledge and a job. Even banks and other government services can now be easily availed online. I believe with so much happening, it does makes sense to learn how to use computers. Clothes are an integral part of our lives and there is no denying that almost everyone knows something about them. 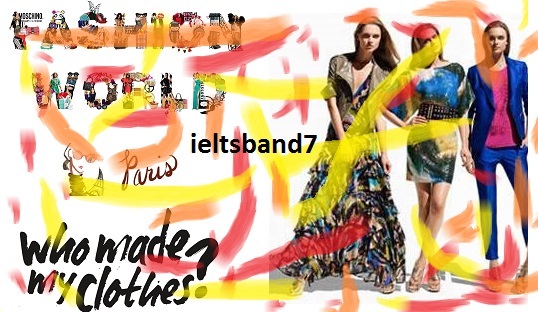 When it comes to the speaking section of IELTS, there are a lot of chances that you are asked about clothes. So, here this time, we are presenting to you some of the questions asked in the IELTS speaking section for clothes and the fashion industry. Is buying clothes a popular activity for teenagers in your country? In recent times, it surely has become a popular activity. With more digitalization and globalization happening, people of all age are becoming more apprehensive about their looks. They are trying more than ever to look smart and presentable. One can find, teenagers searching for those new looks that their favorite actors are carrying and try to imitate them. In some cases, they go for the looks that certain models are carrying. So, I think buying clothes has surely become a popular activity, among all teenagers. How much money should parents spend on their children’s clothes? In my opinion, it depends. If the parents are well off, there is no issue in making their children dress off well but if there are financial issues in the family there is even no point in making children learn that the outer look is very important. I would say a balance between both, i.e. spending money so that the children look presentable and making them learn that in the end, it is what is inside, that is their skills and attitude is what matters. What kind of fashion do teenagers like to wear in your country? In recent times, there has been a shift from traditional clothes towards more western clothes. Also, with the big brands giving great discounts, they become the obvious choice for teenagers. Even more, teenagers are more active than before. So, you would find them reading fashion magazines and checking out the latest fashion shows. But then there are some teenagers who are completely into their studies, so they wear whatever their parents get them. What influence has the fashion industry had in your country? Well, there is surely a lot of influence, especially because of the Bollywood i.e. the film industry and the fashion industry working so closely. So, the movie stars will often be found flaunting a new fashion style or a statement, people who love them try to imitate them. Even more, one can find the local brands bringing out cheap clothes that are similar to the ones worn by celebrities. This allows the common people to wear cheap fashionable clothes. Are the fashions of today different from your parents time? Definitely yes. Fashion has evolved over the decades. During my parents time, there was the fashion for long saris but now it has shifted towards the ones smaller in length. From pants, we have shifted towards jeans and shorts. Even more, the style of jeans and pants has changed. Earlier women were found wearing more traditional clothes, now you can see them wearing more western or anything that they find comfortable. So, I would there are things that have remained the same, like sari but there has been a shift from traditional to western. What do you think will be the effect of the fashion industry in the next ten years? The fashion industry is evolving and with time and a lot of advertisement, there is a huge impact on people. Like, you can find women trying to be more slim, fairer and fitting into a body image which they are not. Even men could be found going to salons and gyms, not to just get healthy but trying to be someone else. This is the one thing fashion is doing to people. In the next ten years, there can be two extremes. One people can completely try to be someone else, go into the extremes of fashion and forget the reality. Second, there could be maturity in the decisions people take. So, they might go to buy fashionable clothes, but then try to be happy with the body they have. Instead of being slim or fat, prefer a fit body. I think the fashion industry will continue to have an effect on people’s decision but it might be possible that the effect is reduced.